The call was waiting when the pilot touched down. He jumped out of the chopper handing its controls to his colleague, and reached for the receiver that a soldier was holding out. "We have seven to eight wounded," the orders came crisply. "They have to be taken out from the N helipad. Heavy shelling and firing in the area." Less than a minute later, the pilot had his Cheetah helicopter up in the air. It was a few minutes past 0630 IST. His colleague and he had started another of the long shifts that has been their norm since war broke out on the country's northern border. Part of the Indian Army Aviation Corps, which incidentally owns the largest helicopter fleet in Asia, they had started from their base just half an hour earlier. A minute and they had ducked into a deep, narrow gorge. This was the safest way to N helipad, which sat on the hill where the gorge ended. The chopper was hugging the ground, staying just 5-10 feet above. On both sides, steep snow-capped ridges rose to 4000+ metres - ridges on which, the pilot knew, the enemy had dug in and would be firing at him this very minute. The chopper continued hugging the ground, moving fast, climbing with the gradient. 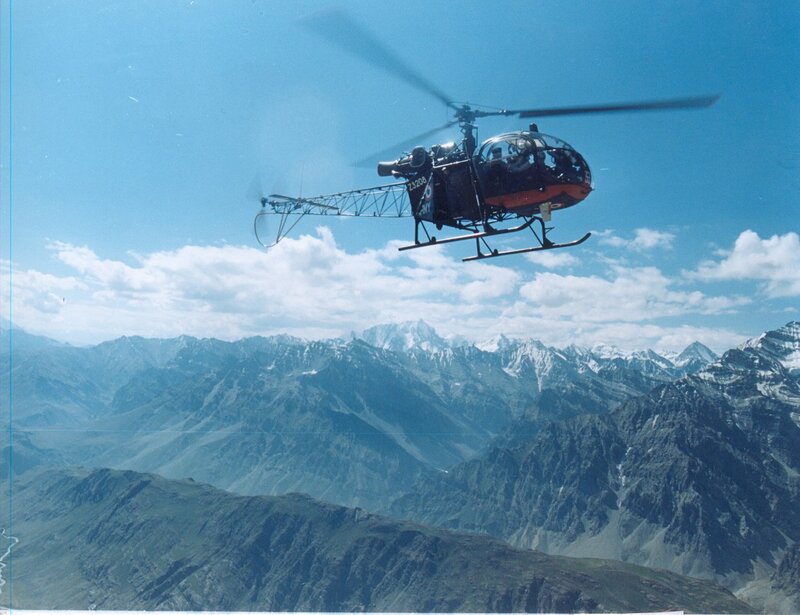 The narrow, makeshift helipad was situated at about 13,000 feet. It had a light coat of snow when the pilot sat his machine down. There was no sign of any casualties. While his colleague held the machine steady, the pilot threw open the door. He was wearing a flying jacket over his overalls, but the cold air cut through it. A shell burst a little ahead rocking the chopper. The pilot could make out two figures, bulky in their winter clothes, running towards the machine. A junior commissioned officer and a jawan. They were carrying a stretcher. "How many?" the pilot shouted over the din of the rotors. "Two now, more to go," the JCO shouted back as he lifted the lying casualty into the space behind the pilots. The seat there had been folded up. The man could just about lie there in the tiny space if he kept his legs folded. He had been shot through the neck and, though dosed with morphine, was moaning in agony. No sooner had the second injured been lifted in -- he had a gunshot wound in the leg and was categorised as 'sitting casualty' - the pilot was back in his seat. "Let's go!" he yelled. The co-pilot had taken over. A pull with his left hand and the chopper was airborne. He executed a 100º turn and was down into the gorge. Though the pilot couldn't hear the automatic fire that was aimed at him inside the cabin, he could see the bullets punching holes on the barren mountainside. His colleague was flying fast, his concentration intense - a slight lapse would send the machine crashing to the ground or into the ridge. Behind them the lying casualty continued to moan. "You are doing fine," the pilot heard himself yelling. "We will get you out of here soon." Seven minutes of flying and the chopper touched down where an ambulance was waiting. Willing hands took over the injured, and the pilot was headed towards N helipad again. The second trip was hotter; the third even more so. But today the pilot's luck held. He brought in five more injured without incident. "Some days when we finish work," the pilot is saying, "the helicopter is full of blood." He is in his flying overalls and may be called on duty anytime. 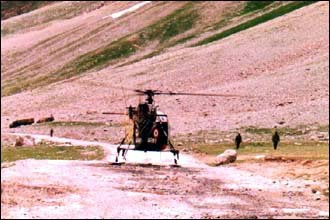 Since the Indo-Pak trouble started in the first week of May, he has flown numerous hours over the affected Drass-Kargil-Batalik axis, evacuated numerous casualties, and been shot at numerous times. "You feel bad about them (the injured), but you blank out such thoughts," he continues. "Your mind needs to be on flying. You need to keep your exposure time (to enemy fire) the minimum and get out fast." The pilot, part of Indian Army's Air Observation Post (Air Op as it is known), has some 300-odd hours over the affected terrain and knows it like the back of his hand. His primary job, besides recon and guiding artillery fire and air-attacks on enemy positions, is evacuation. "Many times you have to land under enemy fire. You got to do it because that is the only way out for the injured," he says. "You don't worry that you might be shot down because you don't have time to worry - all your attention and energy is on the machine you are flying. It becomes a part of your being. "Whether you are downed depends basically on your luck. If destiny plays with you...well, I guess if you have to go you will go," he concludes. The intruders, Air Op pilots say, have positioned themselves very well. Many groups are sitting on sharp ridges, some just 3 - 5 metres broad, making it difficult for the bombers. A few metres this side or that, thus, makes all the difference, as the bombs would then fall down the steep slopes to burst way down. "Surprisingly they (the intruders) are using dark clothes and tents. But they have built snow walls around their tents to make it difficult to spot. You have to watch the area from different angles before you can see them," says another pilot, senior to the first. And what precaution does he take to avoid being shot down? "We keep observing the ground. Keep looking around us all the time. We are trained to do that. We can spot a man from as far as 8km. That's our protection," he replies. But that protection does not always work. However sharp your eyes are, however keen your concentration, there will be times when you miss out for a few seconds. And then, your life is in the hands of Lady Luck. "I was shot at with a rocket. I spotted the man - he was firing from the shoulder - only after he had fired. He must have been about a kilometre away...It was too late for evasive action, but luckily he missed. I could see white smoke under my machine as it passed beneath," the senior pilot says. The Cheetahs are not armed aircraft, though the pilots carry an Ak-47 each. As such, all they can do is weave and duck when attacked. But being smaller, they are faster and capable of tight and fast turns. "The enemy fire is always at your future position," explains a pilot, "If you are watching, you get half a second, perhaps a second to react...and that is enough time." And if you aren't? Well, a rocket could "reduce your machine to pieces." A well-placed bullet in the engine or fuel tank "could send you crashing or on fire." "If you are out of their rocket range what they do is direct artillery fire at you," says the senior pilot. "They (the intruders) have laser range-finders. They pinpoint your position and then call for artillery air-bursts (shells with shorter fuse that burst in the air)." The Air Op pilots' response is typical during such attacks. They move out of the area as fast as possible, and then call for Indian artillery. "Being trained observers we can pinpoint where the fire is coming from," the pilot says. "And once a couple of Bofors shells land there, there won't be anyone left to fire! See, this is a cat-and-mouse game. Who gets whom depends on your luck," he adds. You come back to the issue of fear: how does being shot at affect a pilot? Do narrow escapes make him lose confidence? No, say the pilots. Just the opposite. "Everyday we are being fired upon. But we haven't stopped flying," they say. "We are graduating everyday. We are becoming more seasoned. And our resolve to fight increases." "We will not let them get away with this," adds another. "They can't come into our territory and go off like that." What about their families, you wonder. How do they adjust to the threat that their men could be killed anytime? "They understand...They have come to accept it," is the answer you get. "They are very supportive. In fact some of the wives have been making cookies and stuff for us to take to the men in the forward areas." You return again to the dangers of flying. How much more difficult is it flying at high altitude?  "Here the density of the air is very low. The difference between landing at sea level and at 15,000 feet is the same as walking on ground and trying to walk on water," says a pilot. "There's no room for error here. Only after you land can you say you're really safe." Indian Army Cheetah (Z3208) comes in for landing during Op Vijay. The terrain seen here is typical of the region. HAL Cheetah is a license produced version of the SA Lama, and holds the world record for the highest altitude ever achieved by a helicopter. IA choppers feature the same roundel as seen in the IAF, but also word "ARMY" painted on the body. A Cheetah flies over even as engineers labour over a road in Batalik. 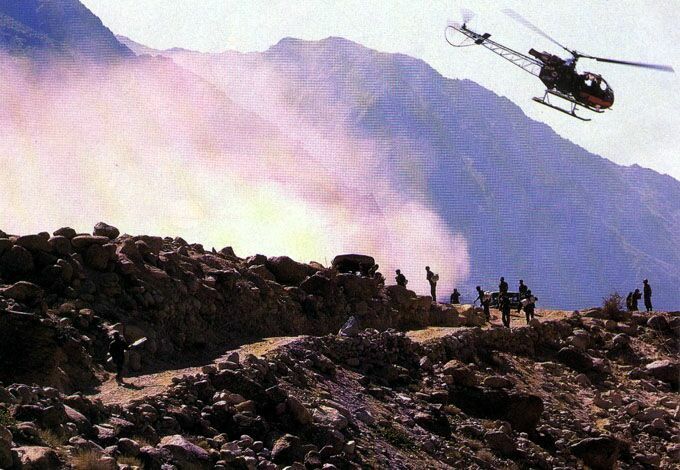 Helicopters are the feasible way of supplying troops in many places due to the unforgivig terrain, climate and altitude. Lt. Cdr. 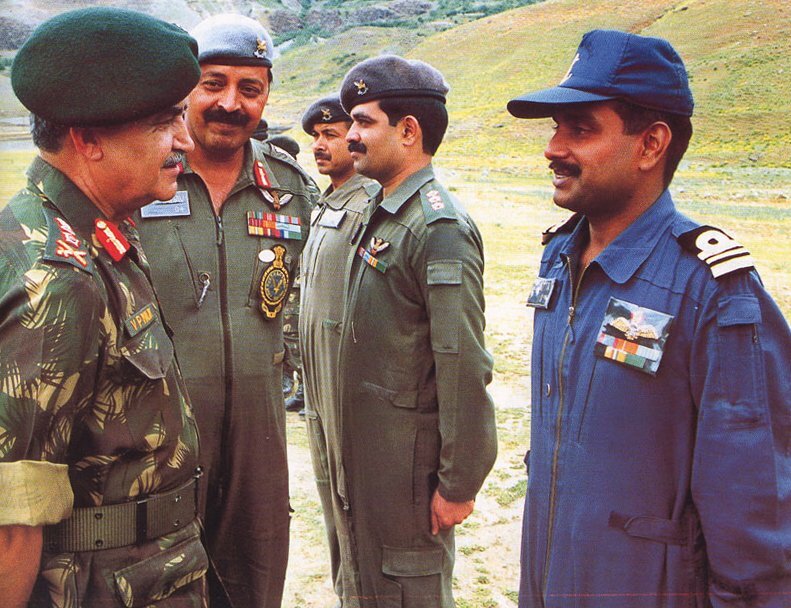 Utpal Datta was a naval officer pilot who served alongside army and air force pilots in flying operations over the battlezone.He is seen here talking to the Army Chief, General Ved Prakash Malik. It is not uncommon for naval officers to be attached to IAF or Army units on a temporary basis. Note the Olive Green overalls of the army pilots. 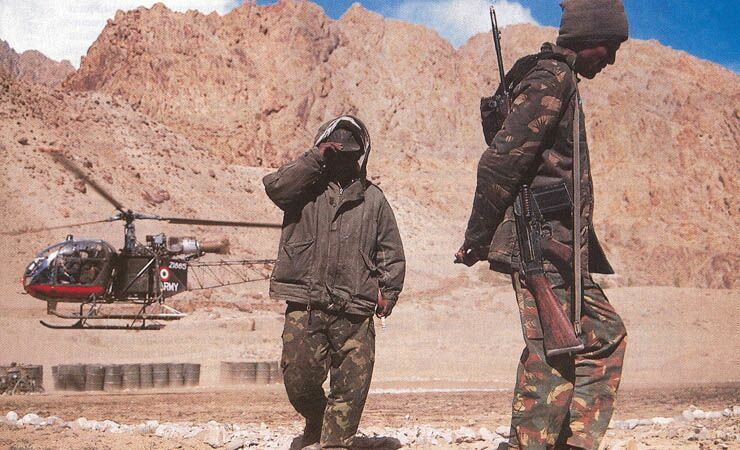 Kargil : Book Extract - "Dateline Kargil"
The 1980s >> Siachen : "The Impossible is Routine for Indian soldiers on Siachen"
bharat-rakshak.com/LAND-FORCES/Army/Articles/Article24.html: AAC - "A Force Multiplier". A brief description of what the AAC is, their role and history.